Last week, I was savoring the last of my garden’s summer tomatoes on a 90-degree day while this week I’ve gotten a head start with fall vegetables. The autumnal equinox isn’t until Sunday, but temperatures have dropped and it seems as good as time as any to offer a little autumn vegetable inspiration. After all, if this fall is anything like this summer, it will be gone before we know it. Vegetable cookery isn’t hard, yet most of us (guilty!) favor salads over cooked sides. I believe it comes down to convenience. Salads are easy to make and require minimal clean-up. Cooked vegetables demand a bit more effort on all fronts, but one bite makes it all seem worthwhile in my opinion. Below you’ll find three of my favorite fall recipes. I demonstrated how to prepare them on WCNC’s Charlotte Today yesterday and if you are a visual learner I urge you to check out the video of my demo here. 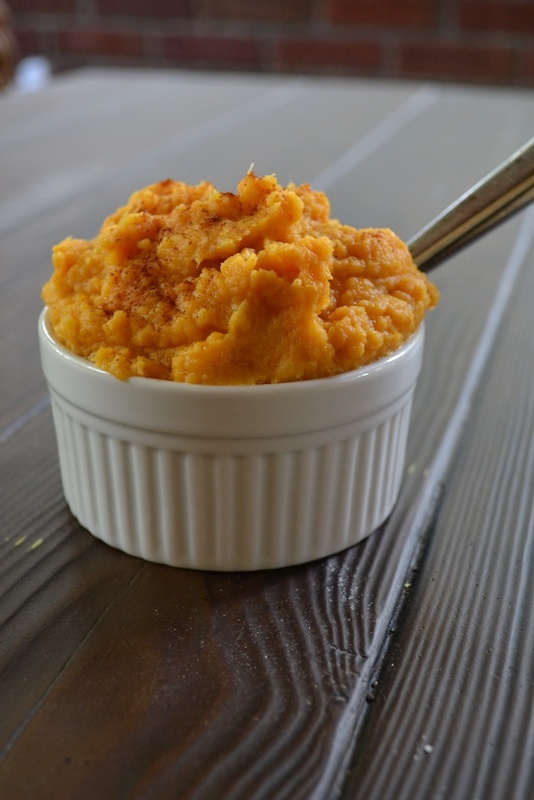 The sweet potato and parsnip purée is a great alternative to mashed potatoes and everything about it screams fall. You can use milk instead of heavy cream, but don’t omit the cinnamon and maple syrup as both add a warmth and complexity to the dish that will keep you eating. If this is your first time trying parsnips, be ready to be hooked. They look just like carrots, but are cream-colored with a distinct peppery flavor. If possible, buy smaller parsnips instead of larger ones as the large ones can be a bit fibrous and tough and require longer cooking. Brussels sprouts and broccoli often get a bad rap thanks to the fact that they are often served over-cooked and mushy. If you are a hater of either, I urge you to give either or both vegetables a second chance with one of these recipes. Tossed with garlic and olive oil, broccoli roasted at a high temperature and finished with a dusting of parmesan cheese and a squeeze of lemon juice turns into a crisp and irresistible side dish that’s worlds away from its steamed counterpart. The challenge with this dish will be actually getting it to the table as I find that it’s often decimated by sneaky fingers while it’s still in the pan. For brussels sprouts, pine nuts and pancetta add a little glam, but the real magic is in slowly searing halved sprouts to golden brown perfection in a skillet. Just like with the broccoli, this dry-cooking method yields a crispy and flavorful sprout that has a wonderful nutty flavor. Like the broccoli, people tend to pick at this dish so work quickly to get it on the table. Add water to a large pot and bring it to a boil. 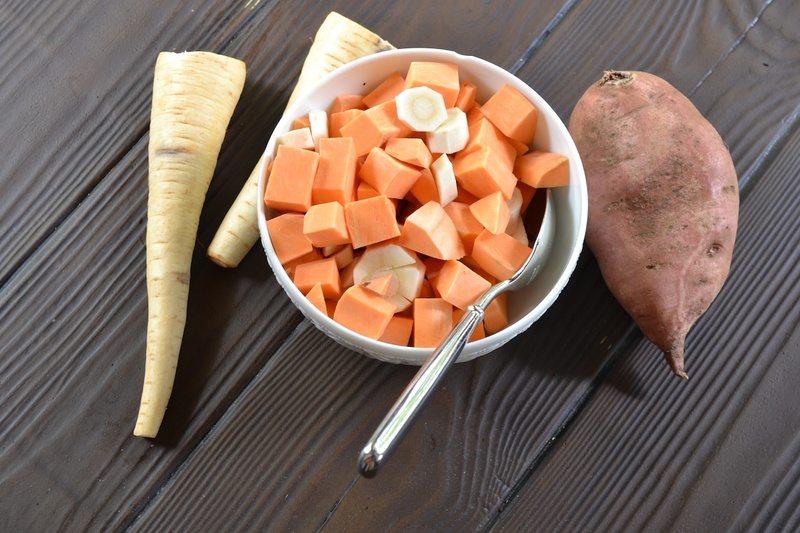 Peel the sweet potatoes and parsnips and cut them into ½-inch thick pieces. Add the sweet potato and parsnip slices to the boiling water and cook for 12 minutes or until soft. Drain the sweet potatoes and parsnips and place them in the bowl of a food processor. Add the cream, cinnamon, and maple syrup and process until smooth. If more liquid is needed, add more cream until the desired consistency is reached. Season to taste with salt and freshly ground black pepper. Preheat the oven to 425 degrees. In a large bowl, toss the broccoli, garlic cloves, and olive oil together. Sprinkle with salt and pepper. Spread the broccoli on a large baking sheet and bake for 15 minutes. 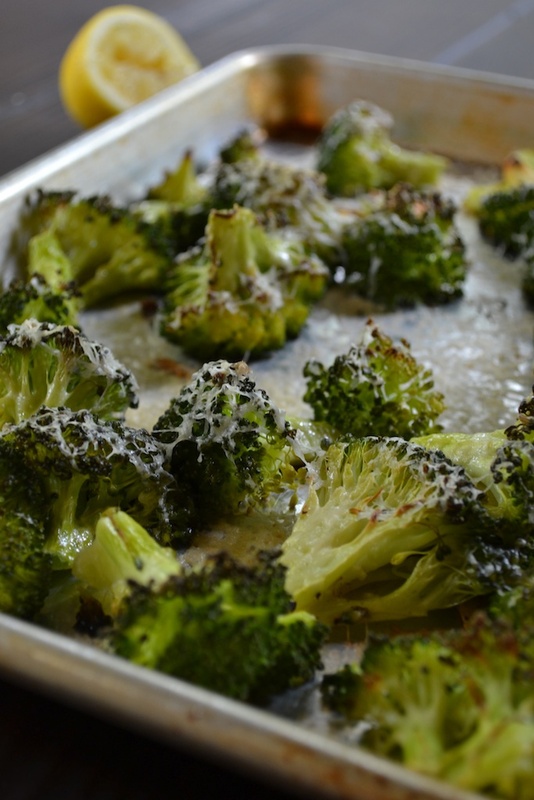 Remove the baking sheet from the oven and sprinkle the broccoli with the Parmesan cheese. Bake for an additional 5 minutes or until the broccoli is crisp tender and the cheese is brown and crisp. 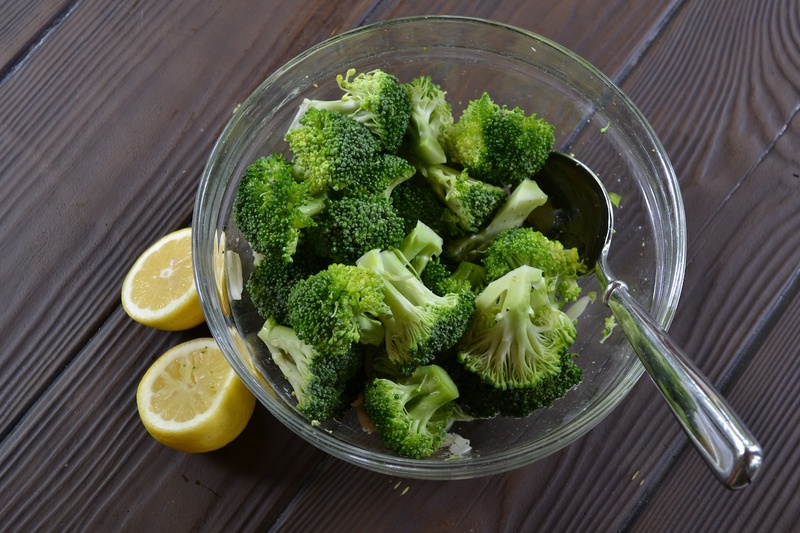 Squeeze lemon juice over the broccoli and serve hot or at room temperature. In a large skillet, heat the olive oil and unsalted butter over medium heat. Add the garlic and sauté until the garlic slices are golden brown. Use a slotted spoon to remove the sautéed garlic from the skillet and set aside. Add the pancetta and cook until golden. Remove the pancetta from the skillet using a slotted spoon and set aside with the garlic. 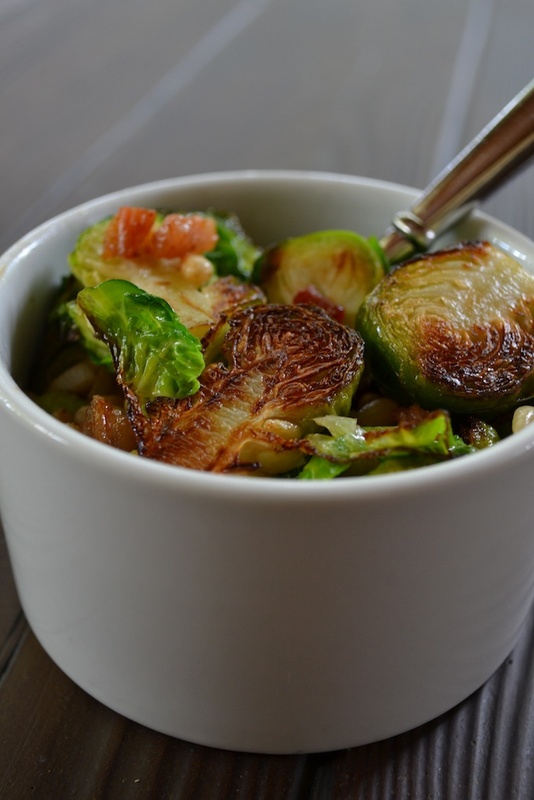 Place the Brussels sprouts, cut side down, in the skillet and sprinkle the sprouts with the pine nuts. Reduce the heat to medium-low and cook for about 15 minutes or until the bottom of the Brussels sprouts are golden brown and crispy. 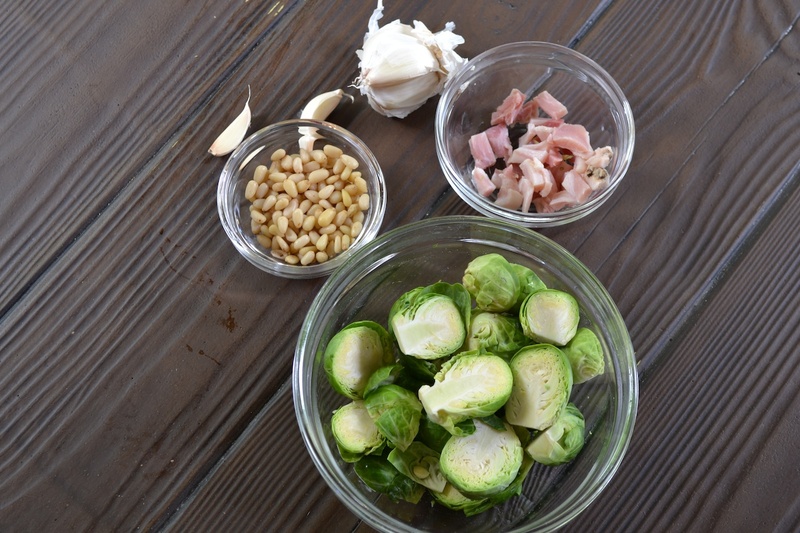 Once browned, season the sprouts with salt and pepper and return the sautéed garlic slices and browned pancetta to the skillet. Use a spoon to gently toss everything together. Serve immediately.